Examples of Marketing, Promotion, Advertising, Media and related subjects from several countries including Argentina, Austria, Belize, Botswana, Burma (Myanmar), Canada, Chile, China, Dubai, Ecuador, Egypt, Finland, France, Germany, Guatemala, Greenland, Holland, Iceland, India, Italy, Malaysia, Monte Carlo, Netherlands, Peru, Poland, Rwanda, South Africa, Spain, Sri Lanka, Switzerland, Tanzania, Thailand, United Arab Emirates, Vietnam, Zimbabwe and others. Seminars are usually one and two-day marketing seminars which include relevant, timely marketing topics for general managers, agency presidents and marketing directors. Sessions have been held in Beijing, Hong Kong, Cuba and Shanghai. 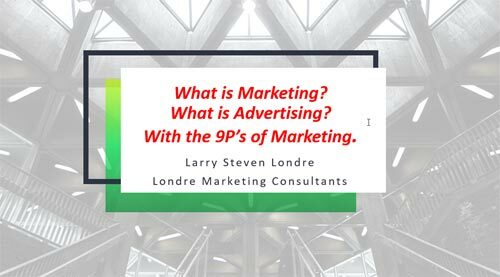 Topics include: Global Strategies, Management, Marketing, Segmentation, Targeting, Pricing, Promotion and many aspects under the four P’s and the Nine P’s/9P’© of Marketing. 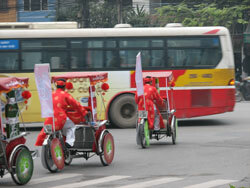 Also see Advertising and Media Vehicles. Photos and events featured include: 2010 World Cup, 2014 FIBA Basketball World Cup, Super Bowls, retail, and city/regional/country promotions. Examples: What is Marketing? What is Advertising? Sales Promotion? I do presentations explaining the differences. Problem solving. Click on thumbnails to view images larger. What is Marketing? What is Advertising? Sales Promotion? I do presentations explaining the differences. Problem solving. Many incorrectly use the terms of “Marketing” and “Advertising” interchangeably. At UCLA School of Law, USC School of Law, Loyola Law School and Southwestern School of Law, at seminars and other institutions, I present “What is Marketing? What is Advertising? What is Promotion? What is Sales Promotion?” With the strategies and tactics of the Nine P’s/9P’ of Marketing. Included are dozens of examples in a business, participatory, learning environment. Photography from my travels, teaching and global seminars is intended for my personal, educational or instructional use. The images are assumed to be in the public domain and are displayed under the fair use principle. No license or right of reproduction or secondary use of these images is permitted.